Justin Trudeau offered a broad and emotional apology Friday to indigenous people in the province of Newfoundland and Labrador, where for much of the 20th century indigenous children were compelled to attend boarding schools that separated them from their families and cultures and, in many cases, subjected them to abuse. 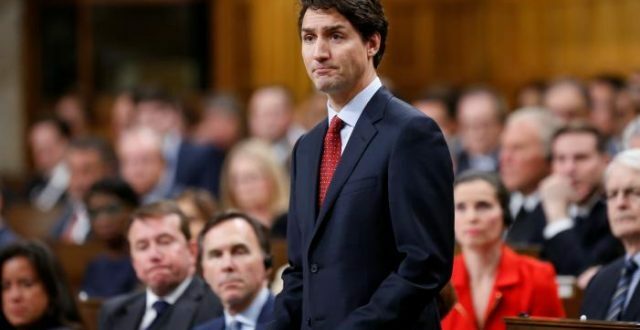 Trudeau offered the apology for beatings, sexual abuse, neglect and loss of Innu and Inuit language and culture at residential schools in the province. They were located in North West River, Makkovik, Cartwright and Nain — all in Labrador — and one in St. Anthony in northern Newfoundland. The International Grenfell Association ran three of the schools, while the Germany-based Moravian missionaries ran the other two. Trudeau said parents were promised their children would be cared for and would be safe. The former students were left out of a compensation package and national apology in 2008 by former prime minister Stephen Harper. His Conservative government argued that Ottawa didn’t oversee those schools, but the Liberal government offered last year to settle a class-action lawsuit for $50 million. Toby Obed accepted the prime minister’s apology on behalf of former students. “Because I come from a patient and forgiving culture I think it is proper for us to accept an apology from the Government of Canada,” he said.